I have a dataset of equally spaced, by 3 arcseconds, points. Each point represents the radio signal strength from a near by transmitter. I wanted to convert the point data set into a raster for better visual analysis. I used the IDW (spatial analyst) tool, expecting that a cell between points would interpolate a value somewhere between the two values, but not greater or less both. In the picture below I'm using IDW on the point set that's visible. I set it to consider 4 data points and use variable radius. 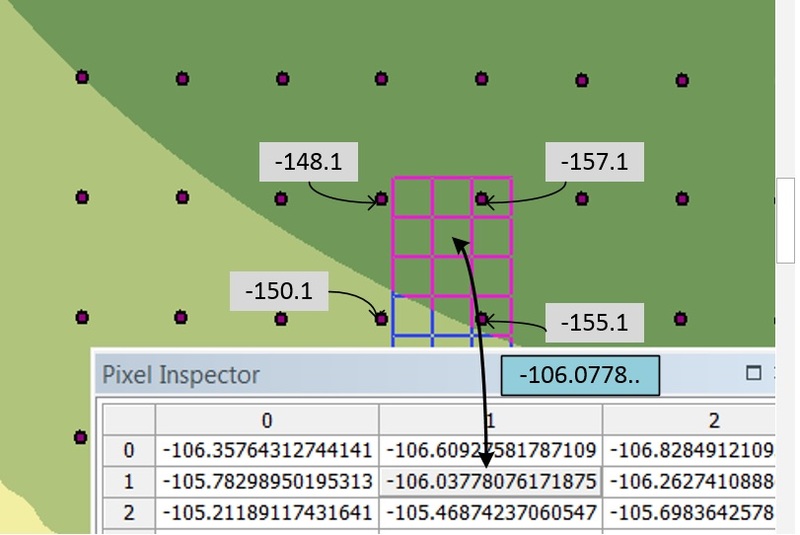 If you look at the picture, where the pixel inspector is, the cell that i'm pointing to is close to 4 other points for which I pasted the value in the picture. I expected that to get the value of that cell that the tool would consider the value of the 4 closest points and take the weighted average of the 4 which would be somewhere between -157.1 and -148.1, but the value the tool is giving is -106.03778. So where is that value coming from? I using the wrong tool for what I want? This is the identify all layers output from the same project. It has the IDW set up to evaluate based on 4 of the closest points, also I created an INT layer out of the idw layer. I used the identify tool and sampled a "square" of 4 data points then the top output is taken in the center of the "square. Not the answer you're looking for? 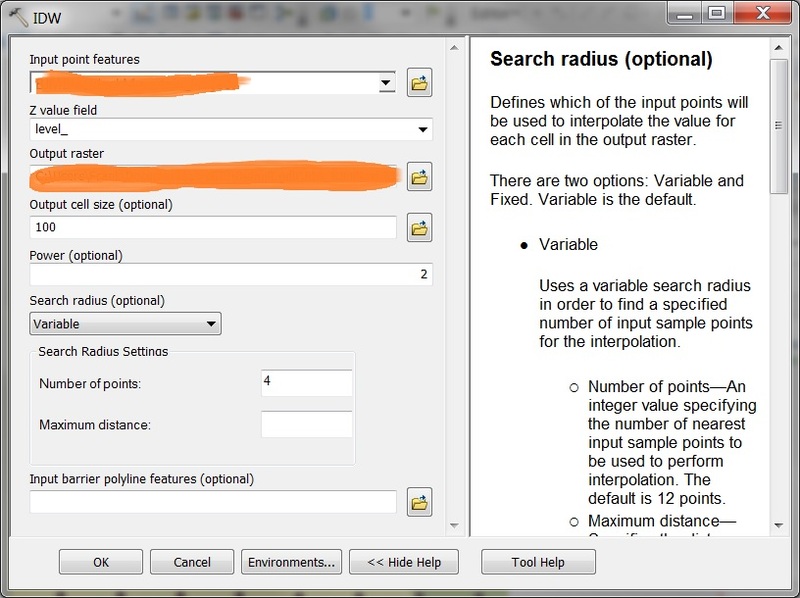 Browse other questions tagged raster arcmap interpolation inverse-distance-weighted or ask your own question. How to densify point feature class in ArcGIS?